Now You can turn your energy "UP" when you need it! Day-to-day stress can rob you of your energy - so you feel more exhausted, unable to remember even the simplest things, or focus on the task at hand. If this sounds familiar, then you need an Energy Makeover - with FocusUP, the Pure-Energy Think-Drink. 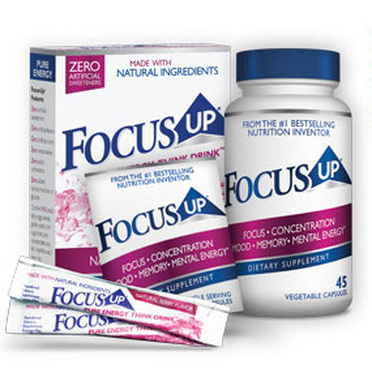 FocusUP is the no nonsense way for high-performance adults to stay focused and productive. 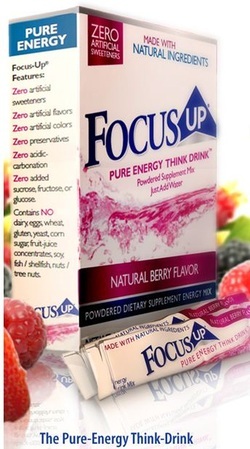 Best yet - the ingredients in FocusUP help you feel energized for hours. that can help you take on the demands of your day from work to play! Get Energized – Get Focused! Need more energy? Who doesn't these days? It doesn't matter if you're young or old, we all want that abundant energy to help us stay active and get through the day. As a result, millions of people turn to energy drinks as a means to maintain the "get-up-and-go" mentality. Unfortunately, the majority of today’s energy drinks and shots are loaded with sugar and calories (didn’t anyone tell those companies that most people are trying to lose weight these days). Sure, they usually give you a jolt of energy, but what about that “crash” feeling you get a couple hours later and the cost your body pays for that hit? Before you know it you’re back to feeling tired and struggling to stay mentally focused. Now more than ever, people around the world need a healthy source of physical energy and mental clarity without all the negative side effects of today's typical energy drinks. With FocusUP® , you’ll enjoy a clean, healthy boost of energy without that “crash” a couple hours later. And with no sugar and just 10 calories, this is a great tasting, guilt-free beverage you can enjoy every day. It’s also offered in convenient capsules when you need that immediate boost. Beyond the healthy energy boost you get, FocusUP provides a powerful synergistic blend of research proven ingredients that improve mental focus, concentration, memory and mood. No other energy drink, shot or capsule on the market today offers this combination of high quality ingredients…and in the amounts which have been clinically shown to produce long-term results. ALCAR's role in brain function is in maintaining, protecting, and improving cellular energy production. This abundance of energy is then utilized to create neurotransmitters and keep the brain in top shape. A significant body of scientific research into the effects of DMAE goes back more than four decades. Improved attention, concentration and academic/learning performance have been shown to occur with this nutrient. Decades of accumulated scientific studies validate rhodiola’s usefulness for improving mental performance, energy and stamina. Rhodiola optimizes the release of acetylcholine, the neurotransmitter associated with learning, attention and memory. Huperzine- A has demonstrated memory enhancing effects in cognitive states ranging from "normal" to "impaired." This nutrient also modulates the neurotransmitter dopamine, involved in cognition, motivation, mood, attention and learning. For years, scientists have recognized that the catechin in green tea- specifically EGCG, exhibits a powerful ability to protect brain cells from free radical activity. It also significantly increases the rate of body fat burned or metabolized. 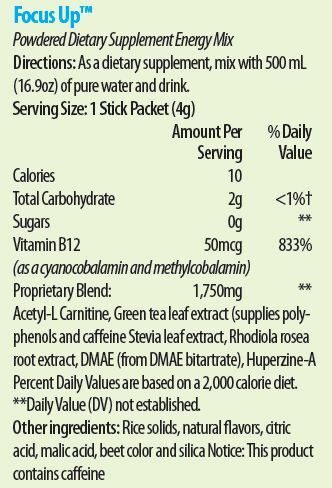 *This product does contain caffeine from Green tea leaf extract. Vitamin B12 is a water-soluble vitamin with a key role in the normal functioning of the brain and nervous system. B12 is normally involved in the metabolism of every cell of the body, especially affecting DNA synthesis and regulation, but also fatty acid synthesis and energy production. When it comes to convenience, FocusUP is the perfect fit. No bulky, heavy cans or bottles to carry with you. Just slip the stick packets or capsules into your pocket or purse for "ultimate mental energy & focus" any time, any place. Best of all, what I really like is FocusUP is priced LESS than most of today’s popular energy drinks or shots. The green tea compound epigallocatechin-3 gallate (EGCG) provides benefits to memory and special learning by boosting the production of important neural cells, say researchers from China. 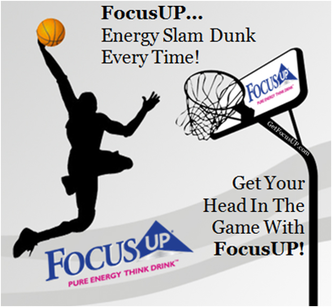 FocusUP Drink Sticks or Capsules for when you want to TURN UP the Energy!